Reaching Your Financial Destinations: Eating Out ... At Home! There's something magical in a kid's mind about going out to eat in a restaurant. They ask for their favorite food and it appears as if summoned by a magic wand. Most of them probably don't even notice the bill at the end, making for an even more enchanting experience. 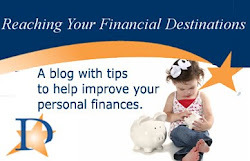 Tired of financing these family outings? Believe it or not, it's even more entertaining to have a restaurant right in your own home. Besides providing oodles of imaginative fun, this activity can be used to teach skills such as setting the table, preparing food, setting prices, paying the bill and getting the right change. You can tailor the activity to different ages and make it as elaborate or simple as you want. Deciding ahead of time on a special that everyone will choose to order is highly recommended. They can peruse the other menu items to their heart's content, but the special will be so irresistible, the entire family will choose it that day. 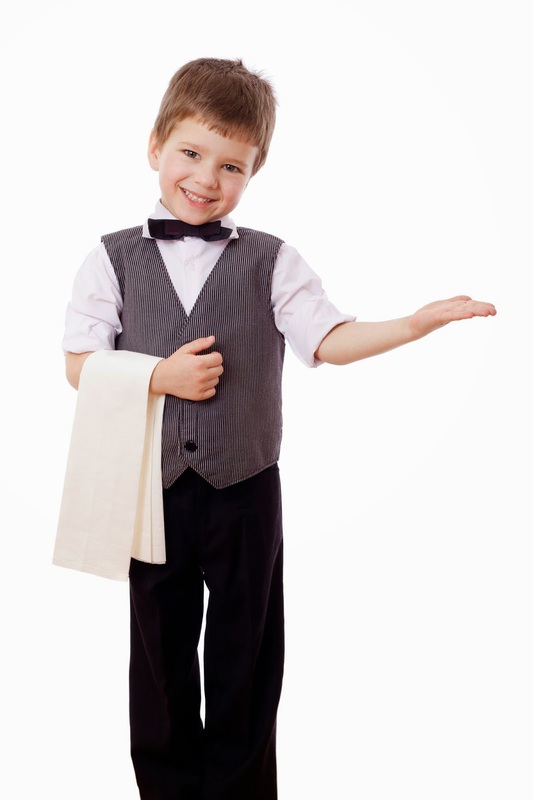 Have your child help prepare the special ahead of time so that they will be more invested in ordering it later. You don't want to have to make two or more different dishes! This doesn't mean you can't come up with a menu with all the options. Have your child help design it using a free online template. An older child can help with pricing. If you have time, it can be especially useful to look up the actual cost of making your menu items at home. If you have less time, look up the costs of making your special. Then, explain how restaurants charge diners a lot more for the same dish. You can teach your child that menu items can typically have a 300%-500% markup of the dish's actual cost. This is easiest to explain with the example of a $5 glass of soda. Point out that, because they need to pay for delivery of the food, preparation, serving and cleanup, restaurants need to charge customers a lot more than the food is worth to make a profit. Keeping that in mind, figure out the cost of your dinner special. Provide your child with real or play money. They might want to take the role of waiter and actually set and wait on the table. Of course, in your restaurant, waiters will also have a chance to eat. The waiter will tally up the bill at the end for all the restaurant guests, take payment, and calculate the change that is due. Alternatively, you can play server. Bill your child at the end of the meal and have him or her pay the bill with the fake/real money you provided them. An older child can be taught to calculate the tip as well. At the end of the day, everyone will be fed, entertained and hopefully a bit wiser. After all, there's nothing like eating out, especially when you can do it at home.